You're stuck inside a bidding war, you're arguing over price. You hardly even acknowledge my existence when you cradle your device. Tom Brosseau is a folksinger and songwriter from North Dakota. He comes from a working family with a musical background, though none have received formal training. His grandmother Lillian Uglem taught him the acoustic guitar while he was in grade school. He has toured Japan, Canada, Portugal, Iceland, Australia; performed in bars, backyards, grand halls, subways, theaters, old folks homes; exchanged songs and poetry with many talented folks, including Susan Orlean, Ramblin’ Jack Elliott, Patrick Marber, Bonnie Raitt and the late Sam Hinton. Mayor Mike Brown presented Brosseau the Key to the City of Grand Forks, North Dakota in 2007 for his album of original work entitled Grand Forks. The songs were based on the devastating Red RIver flood of 1997. Natalie Portman chose a track from Grand Forks, “Plaid-lined Jacket” as part of her continuing work with FINCA, an organization whose mission is to assist communities of impoverishment. Since 2010, Brosseau has performed with Becky Stark and John C. Reilly in John Reilly & Friends, a band devoted to the current American folk music revival, whose members also include Dan Bern, Willie Watson, Greg Leisz, Jerry Roe and Sebastian Steinberg. In 2011, Reilly and Brosseau recorded a 7″ vinyl single entitled John & Tom that was produced by Jack White for Third Man Records. 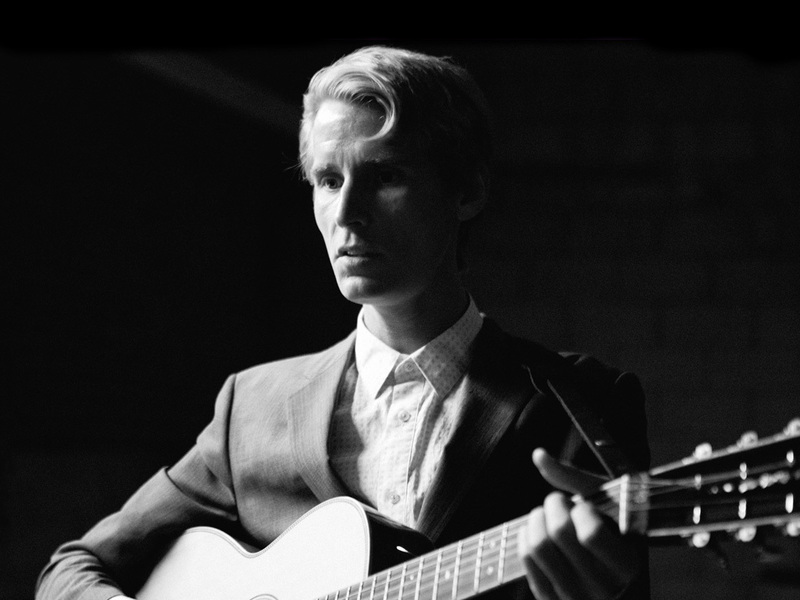 Tom Brosseau has toured with John Doe, Juliana Hatfield, PJ Harvey, and his songs have been covered by such acts as Chris Thile (bluegrass), Mice Parade (shoe gaze), Silje Nes (experimental), Emily & Christy (pop). He currently resides in Los Angeles, California. The title of this album is a phrase belonging to a very talented, original San Diego female artist, who would perform her soft, low voiced poetry over cafard melodies on the piano. Her words would run through my head, and because they were so open to meaning, play on repeat. I take the city bus, which is an experience that has plugged me back into humanity. The faces, languages, the dress, daily I am part of the mix of what is the real face of this town, and though learning the schedules has been challenging, and the temperament of some of my fellow commuters eyeopening, it feels good to be in the same boat as everyone else. People come to Los Angeles because like Frank Lloyd Wright said it’s where everything loose collects, and though I am nothing more than another pebble I am the number one observer of this place. I think of Leslie Dillahunt, who still runs media production out of her home in La Mesa, California. Enough time goes by and you can make sense of anything. Grass Punks at once brought to my mind an earthen smoldering stick, used to light a wick or ward off peskiness, but now it stands for something greater, a sort of heading for everything I believe in when it comes to my brand of folk music and DIY recording.